Before we get to the wine reviews, I want to mention that we attended a very educational wine tasting event at the Golden Gate Club in the Presidio of San Francisco this past Sunday. The tasting event was the 7th annual TAPAS (Tempranillo Advocates, Producers, and Amigos Society) tasting. The society is made up of wineries from the U.S. that produce one or more Spanish varietal wines. We tasted Tempranillo, Granacha, Granacha Blanc, Albarino, Verdejo and various blends. The Lodi area seems to be leading the way in producing Spanish varietals and, best of all, they are value priced. You can read about the wineries and the wines we liked at the Wine Travelers. This a fascinating wine in more ways than one. Check out the Curvare website for starters. It is under construction with only an email contact. I very much enjoyed drinking this delicious Merlot and I think you will also. I wanted more information but none was to be found on the Curvare website. I sent an email and within minutes I received a phone call from the Curvare President Scott Horine. 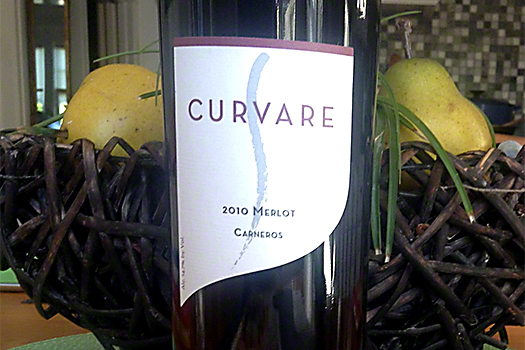 Here is what I learned about the Curvare 2010 Merlot. It is 100% Merlot from two vineyards in the Carneros region. The wine was aged in French and American oak and some in neutral oak barrels. Only 1800 cases were made and most of that now resides in Costco stores. The suggested retail price is $22. In making the wine Scott wanted to make an “authentic Merlot” just as it was made many years ago. 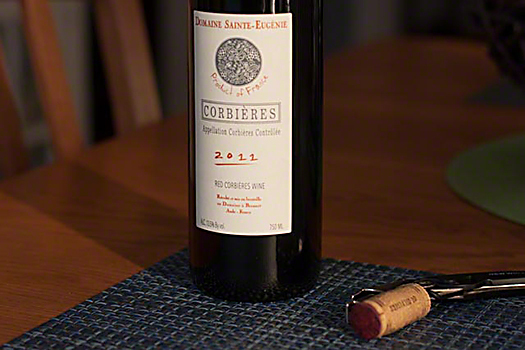 “Too many Merlots are made to taste more like Cabernets,” Scott states. Both Janelle and I enjoyed this wine immensely. It is a true food wine. It has a very deep nose of black cherry and spice. The nose is huge, exploding from the glass. The same characteristics in the nose are present in the mouth. It has a very nice mouth feel, soft and smooth. This is a far different Merlot from what I am used to tasting in this price bracket. It is delicious! 90 Points. Vintage Wine Taster Bruce previously reviewed the Curvare Pinot Noir also available at Costco. I was perusing the wine shelves at Whole Foods and the wine buyer came by and asked if I needed help. I asked him for his best red value on the shelves and he pointed me to this wine. The wine has a load of fresh red fruit flavors and some blueberry. The wine is light drinking with balanced acidity and no tannins. The alcohol is 13.5%. Let this wine breathe and it will definitely mellow out. It is a red blend, but nothing is on the label about the grapes in the wine. My guess it has some Grenache and Syrah, and perhaps another grape. If you are shopping at Whole Foods and looking for a wine, give this a try. 88 Points. This wine is reviewed and recommended by Vintage Wine Taster Jim C. I purchased this wine at the Costco by the airport in South San Francisco. 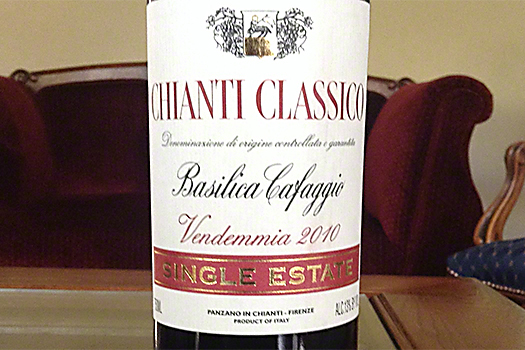 I’m more a California red wine fan but this Chianti is top notch. It is light but full of many flavors. I love a good glass of red wine, especially when I pay under $10. I think it is worth a try. 88 Points.